You are here: Home » Blog » SOLUTION: How can I stop my bird biting the nappy suit? It’s normal behaviour for your bird to bite the nappy suit. I started putting the nappy suit on Charlie from Day 1 when I got him, he was just 7weeks old. I have researched about the flight suits a way before I got Charlie. “If my bird cannot wear the flight suit, no bird for me” that was my decision. However, I didn’t want Charlie to get suffered either. Charlie bit his nappy suit once I put it on, he stopped when I took him outside. He was more curious about what’s going on around him than the nappy suit. I thought that was the key. Point 1. Distraction: Take your bird outside – backyard or balcony. Point 2. Give him/her something to nibble to release the stress. The mobile bird toy is made for that reason. Point 3. Do not worry about it too much. 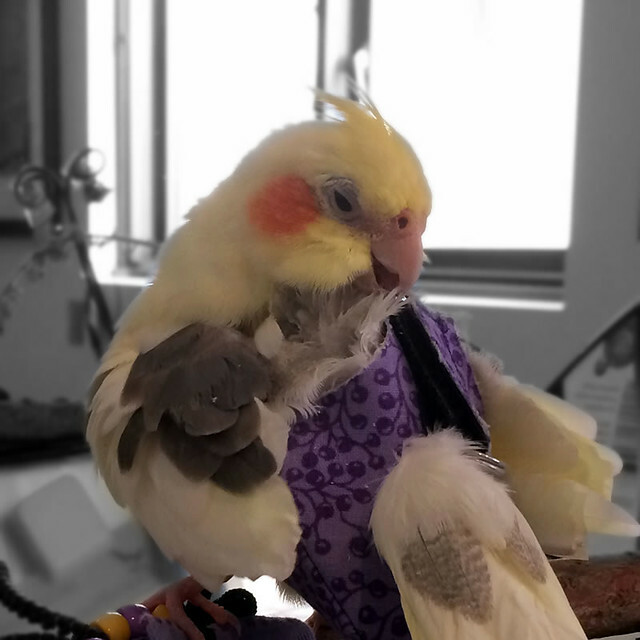 You need to accept that the very first nappy suit for your bird doesn’t last for long time, because your bird WILL nibble it. Then he will LOSE interests in doing it sooner or later. What you need to focus on should be making happy atmosphere instead of giving your bird more stress by stopping him biting it. 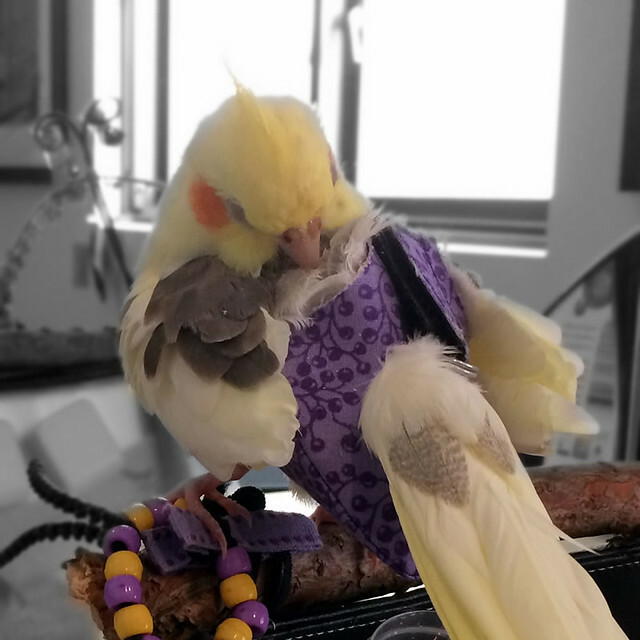 Sooner of later, your bird will be grooming comfortably in the nappy suit, instead of nibbling it.